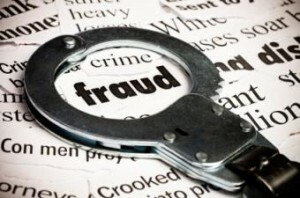 Fraud is not a new topic for the mortgage industry. But our familiarity with it has, perhaps, dulled our vigilance when it comes to a massive new threat. Wire fraud—perhaps more accurately called identity fraud—has exploded recently, both in frequency and complexity. It is no understatement to say that we, as an industry, are woefully unprepared for it. Worst of all, many of us don’t even acknowledge wire fraud as a top concern. If this describes you or your business, please consider the following a wake-up call to a trend that may already be an epidemic. Now consider one more number. All of these jaw-dropping statistics refer to reported cases. And yet, we’re learning that only 10 to 15 percent  of fraud attempts are even reported. We’re just looking at the tip of the iceberg. A scenario taking place near Denver puts faces and facts to the numbers. This is a typical example of the wire fraud we’re seeing nationwide right now. There, a couple who thought they were buying their dream home ended up losing their life savings to fraud. The couple, intending to use the proceeds of the sale of their existing home as a down payment on their dream retirement home, learned instead that the money had vanished over the course of the purchase…and the new home was not theirs. They lost $272,000. The couple came to believe that, over the course of the mortgage transaction, someone employed by their lender, real estate agent, or title agency sent sensitive financial information through non-secure email. This information, they believe, allowed fraudsters to work themselves into the transaction using a disguised source of communication. In other words, when the time came for the lender to wire the closing funds, it went not to the proper party as intended, but to the disguised fraudster instead. Perhaps you’re now convinced that wire fraud is a very real threat to the mortgage industry. But perhaps you think we just need to pay more attention to what we’re doing to stamp it out. Think again. Fraudsters and their scams are proving to be adept at evolving to avoid our efforts to stop them. Let’s start with the two most common kinds of wire fraud facing the industry today. The first is Business Email Compromise (BEC). This scam targets businesses working with suppliers and/or businesses that regularly perform wire transfer payments. The second fraud we’re seeing grow is referred to as Email Account Compromise (EAC). This version of a BEC targets individuals who perform wire transfer payments. In all cases, the fraudster or fraudsters procure compromised data about identity in order to insert themselves in the communication chain as qualified parties to the transaction. In almost every case, the lender or another party unknowingly ends up wiring the closing funds directly to the imposter or his agent. We’re seeing perpetrators showing advanced understanding of the way the transaction and our industry works. Even local customs are observed. (We know of one case where the fraudster did not send emails before 9 a.m.—a custom for Realtors and title agents in that market.) This is in combination with an industry that’s behind in anti-fraud measures. It’s also compounding the fact that the closing is almost always an incredibly chaotic situation to begin with. The closing is fertile with opportunities for fraud, and it appears that the bad guys have realized this. Perhaps this final example will demonstrate just how clever wire fraud perpetrators have become. We’re learning now of a phone-porting scam in which a fraudster manages to use sensitive personal information to “port” (transfer or siphon) calls or emails intended for a proper party to the transaction to their own, disguised phone or e-mail. The use of the “ported” phone makes “call and verify” a waste of time once the fraudster is in the chain of communication. In such cases, the title agent or Realtor is basically calling the imposter and asking him or her to verify his identity! The first step to stopping any kind of fraud is acknowledging the depth and severity of the problem. Awareness and diligence can never hurt when it comes to risk mitigation. It’s time for our industry to recognize the scale of wire fraud and the potential devastation it could bring about if we don’t address it aggressively.